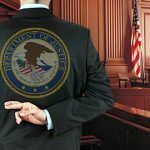 Defunct Nevada company Jacktrade LLC has pled guilty to violating the Wire Act, bringing an end to a six-year investigation that indirectly ensnared Youbet.com, the online race betting outfit acquired in 2010 by Churchill Downs Inc. 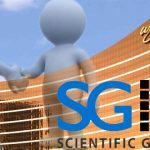 Details of the highly secretive case were kept under ‘super seal’ until Nov. 19, when the company pled guilty in District Court in Las Vegas and agreed to forfeit $2m in cash and other assets seized way back in 2007. 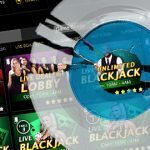 The Las Vegas Sun reported that three individuals identified as Jacktrade’s owners – Louis Tavano, Richard Tavano and James Scott – were not charged following a deal struck with prosecutors. 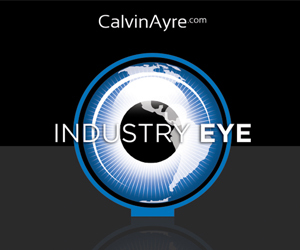 Although involving similar circumstances, the investigation was not connected to the recent arrests of Cantor Gaming VP Michael Colbert and two dozen other individuals. 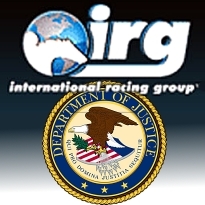 Jacktrade had a sister company called International Racing Group (IRG) that reportedly acted as a US front for a company based in Curacao. Bettors would deposit money on account with IRG’s Nevada racetrack outlets then place bets over the phone with the Curacao company. Court records indicate wire payments to IRG clients from one account totaled $29.3m over a two-year period ending in March 2007. In June 2005, IRG was acquired by Youbet.com for $3m upfront and up to $9.7m based on IRG’s future performance. In October 2007, federal agents raided Youbet’s Los Angeles office as part of its investigation into IRG, which prompted Youbet.com to shut down IRG’s operation. Authorities took an interest in IRG’s operations while investigating bookie brothers Jeffrey and Michael Jelinsky, who they discovered were earning commissions for steering customers to IRG. Michael Jelinsky went as far as to use his own Social Security number to set up IRG accounts, which not only allowed his customers to remain anonymous, but allowed him to claim their gambling losses as his own for tax purposes. (Ingenious!) The Jelinsky brothers were convicted for bookmaking offenses in 2009. It’s been that kind of day for non-sanctioned sports betting in the US of A. Seven individuals were arrested on Wednesday in Hawaii for running an illegal gambling business out of a bottled water company in Kailua-Kona. An eighth individual based in Arizona was also charged. The operation, which is believed to have been active since November 2009, involved live poker and craps games, plus sports betting allegedly placed online via the World Wide Wagering site, generating gross revenue of $2k per day. Last week, a federal grand jury indicted the eight on charges of gambling and conspiracy. 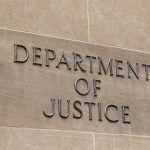 Two of the eight, Eric Ford and Barbara Ford, were also charged with structuring financial transactions to evade federal reporting requirements. The other individuals are believed to have acted as agents, taking bets and handling cash transactions with punters. Arraignments are scheduled for Thursday in Honolulu US District Court. In other North American sports betting news, the judge overseeing the case brought by the professional and college sports leagues against New Jersey’s sports betting plans has put the Department of Justice on notice. 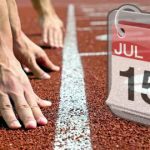 NorthJersey.com’s John Brennan reported that US District Court Judge Michael Shipp has informed the US Attorney General’s office it has until Jan. 20 to voice an opinion on New Jersey’s constitutional challenge of the federal PASPA prohibition of single-game sports betting outside of Nevada. Meanwhile, officials at Monmouth Park racetrack are pushing forward with their plans to renovate part of their grandstand to incorporate a sportsbook in anticipation of offering sports bets (although possibly only the free play variety) starting Jan. 9, the date by which New Jersey claims it will issue its first betting licenses.